Where to Buy Azoxy 50 WDG Select, Azoxy 50 WDG Select Generic Heritage - 1 - 6 Lbs - $164.95 for Sale with Fast Free Shipping! 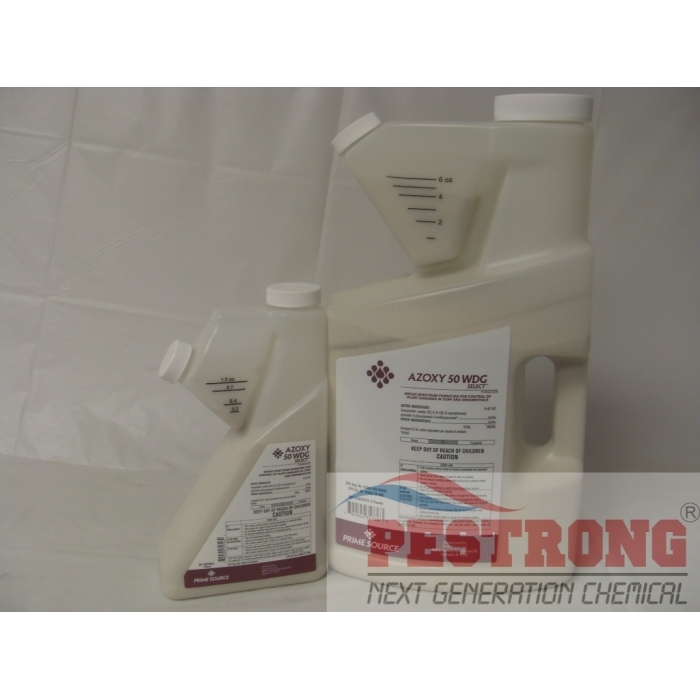 Azoxy 50 WDG Select Generic Heritage - 1 - 6 Lbs is a systemic fungicide, designed to achieve control of some of the toughest turf diseases, such as brown patch, fairy ring, leaf spot and yellow patch. By buying this product & leave product review you can collect normally 89 reward points as a voucher of $8.90(1%). Total protection is achieved through a combination of foliar and root absorption. Highly systemic and with a higher than average degree of root uptake, Azoxy 50 WDG Select provides continuous protection to the whole plant for up to 28 days. 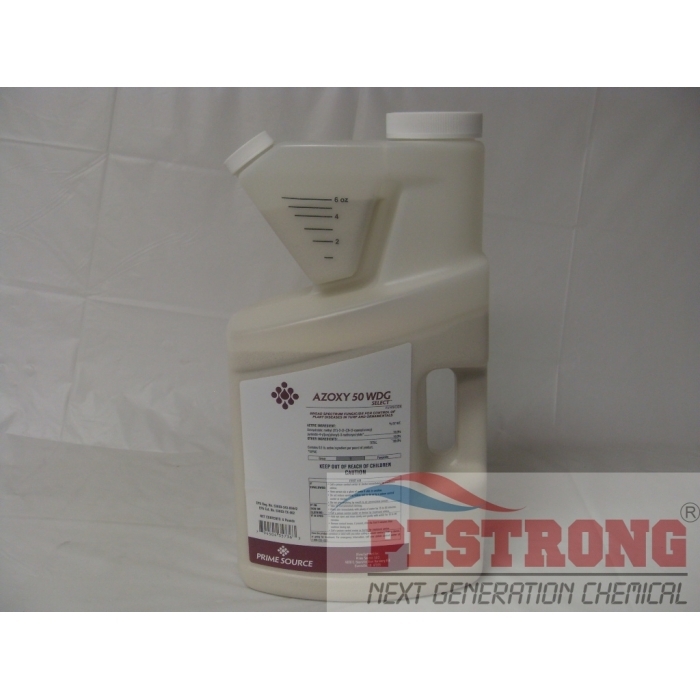 Azoxy 50 WDG Select can be used for control of certain pathogens causing foliar, stem, and root diseases including leaf and stem blights, leaf spots, patch diseases, mildew, molds and rusts of turfgrass plants and ornamentals. Use Azoxy 50 WDG (Water-Dispersable Granular) Select to control certain diseases on golf courses, lawns and landscape areas around residential, institutional, public, commercial, and industrial buildings, parks, recreational areas and athletic fields. For spot treatments, use 0.2 oz. 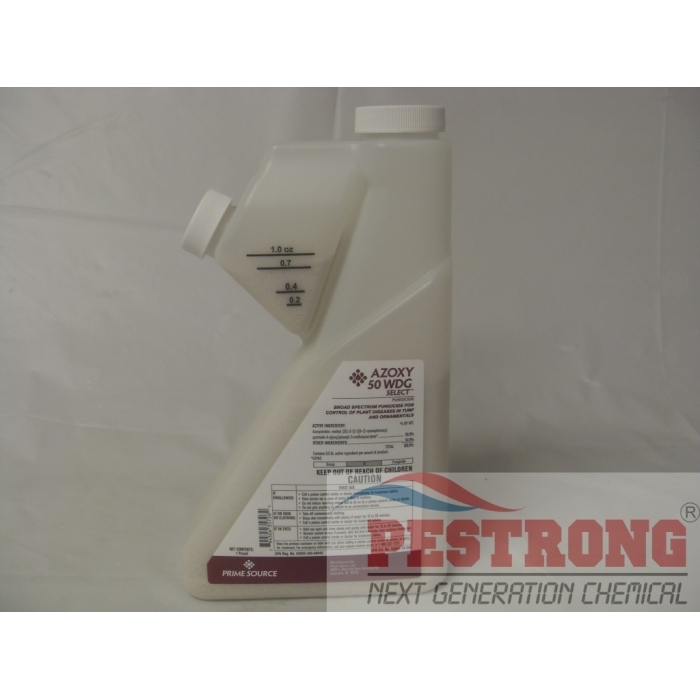 Azoxy 50 WDG Select per 1 - 2 gallons of water. Friend recommended it to me. Works as intended. Just what I need. The outcome is good when used. It's a very good product! Excellent use for vegetable crops, common pests, both sucking and chewing insects. Just follow what the label says and it'll work! The website is easy to use and pestrong employees provide great service! This product does stink but it does the job right! I always come back for more of this. this stuff works great. I have tried a lot of products trying to control as we call them in the south "crawdads" and could not find anything that would control them. I could make them fatter by using other products but could not control them. orthene 97 will control them. crawdads can't stand it. I just sprinkle a little of the granules in the crawdad hole and goodbye pest. it also works great on fire ants. I just sprinkle a little bit on the mound and next day the mound is dead. they don't just pack up and move, they are dead, this stuff kills the mound. always been good worked and looking for more future order again ! It controls many different species of both sucking and chewing insect pests. very good product! Hard to find this item. Slightly odor, but the result is more than expectation. Great service and fast shipping..I ordered two times, but nothing wrong happened to me.Thanks.